Investing in foreclosed and bank-owned properties has the potential to be a profitable option, if you make correct choices during the preparation and purchasing process. Whether you are new to real estate or you have a few purchases under your belt, you can always learn a few things to help improve your odds of finding that perfect real estate in New Jersey. Choose a good neighborhood: One of the best ways to increase profitability of your New Jersey real estate for sale is to focus on the neighborhood. The house is important of course, but a good neighborhood can significantly increase the resale value of any home your purchase. A good rule of thumb is to purchase a bad house in a great neighborhood. Look at the neighborhood as if you are planning to live there. Check out the schools, amenities, safety and access to main roads. This will affect the max value of the home. Work with a professional: When you plan to invest in real estate in Mt Laurel New Jersey, you will have much more success if you enlist the help of a professional realtor. Your realtor understands the community, knows properties that are on the market and can help you navigate the sometimes confusing profess of purchasing a foreclosed or bank-owned property. Spending a little money to hire the best realtor in Mt Laurel, NJ will pay off when you find the real estate that fits your budget and your needs. Do not be afraid to ask questions and get help, that is what we are here for. Tour the Home: Most people would never purchase a vehicle they have not test driven or put all of their money in a bank they know nothing about. This means you should never invest a significant amount of money into a home you have not seen with your own eyes. Check the house inside and out, look in the yard, open cupboards, and walk through the neighborhood. Talk to neighbors. Know the house or property you want to purchase. Get the home inspected: Last, but certainly not least, have the home inspected by a professional. You need to know if the home has any infestation problems and other issues you may need to address if you continue forward with the purchase of the home. Your Mt Laurel, NJ realtor can help you find a great inspector for your property. Know your market: Not all housing markets are performing the same. Understanding how the market looks in the area you want to purchase will help you determine whether you are on to a good thing or whether you need to look elsewhere. Purchasing real estate in New Jersey could be a good option for 2015. Most recent numbers show sales prices down almost 7 percent. This drop will likely also affect foreclosed and bank-owned properties. Have cash saved up or get preapproved: If you take the time to save up a sizable down payment (or the entire purchase price), or fill out the paperwork for preapproval on Mt Laurel real estate in New Jersey, you will have a lead over other interested buyers who may not have taken the time to plan ahead. Because these types of purchases can be ultra-competitive, any advantage you can get, you should take. 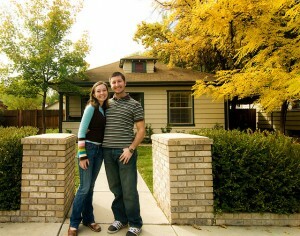 Get good mortgage rates: Even if you just plant to flip the home, get the best mortgage rates possible. If you want to make the most money from your investment, work with a realtor in Mt Laurel, NJ, who can help you make sure you are getting the lowest rates possible. Good credit, solid career history and a down payment will all help. Know the bidding process: Just because a bank-owned or foreclosed home is on the market for $125,000, does not mean that is what you are going to get for it. After seeing the property and talking to an inspector, consult with your real estate agent in Mt Laurel, NJ to make sure you are getting the most house for your money. Making a reasonable, fair offer is the best way to land the property you really want. 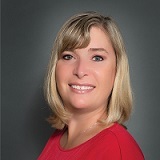 When you need help finding the perfect real estate property for sale, call Roxanne Ardary for help.